An exciting new collaboration with Yamaha that combines the best of two worlds. 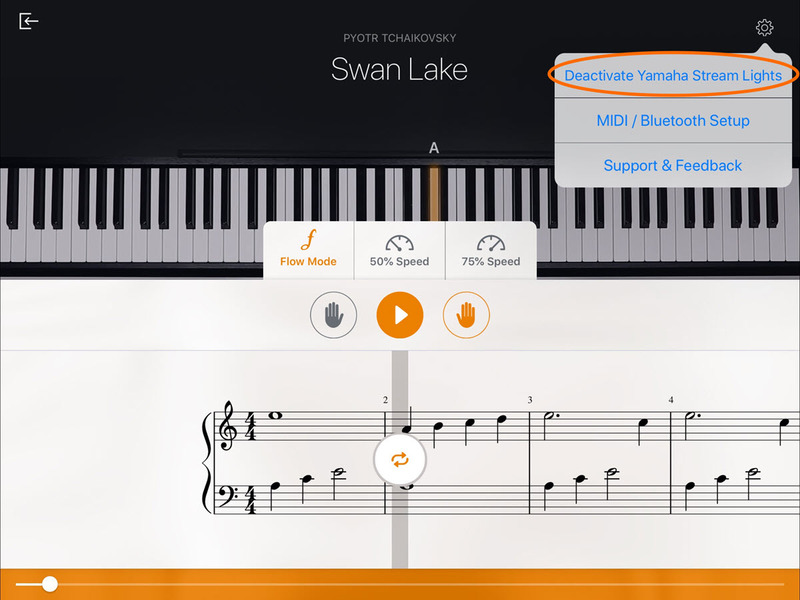 Now Yamaha and the developers of the popular flowkey app have combined their efforts to drastically improve this methodology. flowkey includes score notation, a “wait” feature and right/left hand selection. 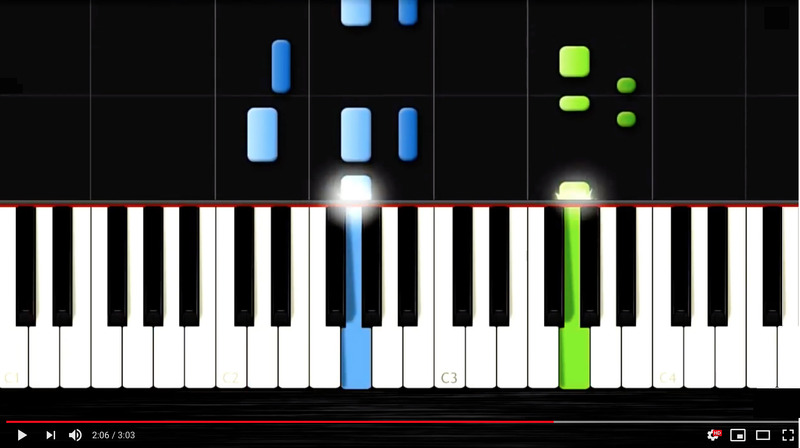 Combined with the newest Yamaha CSP Clavinova models, which feature Stream Lights above the keys, the two companies have created a system that can best be described as YouTube learning on steroids. 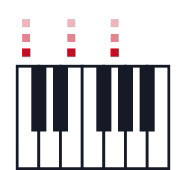 flowkey allows students of all levels (Beginner, Intermediate, Advanced, Pro) to learn songs interactively. 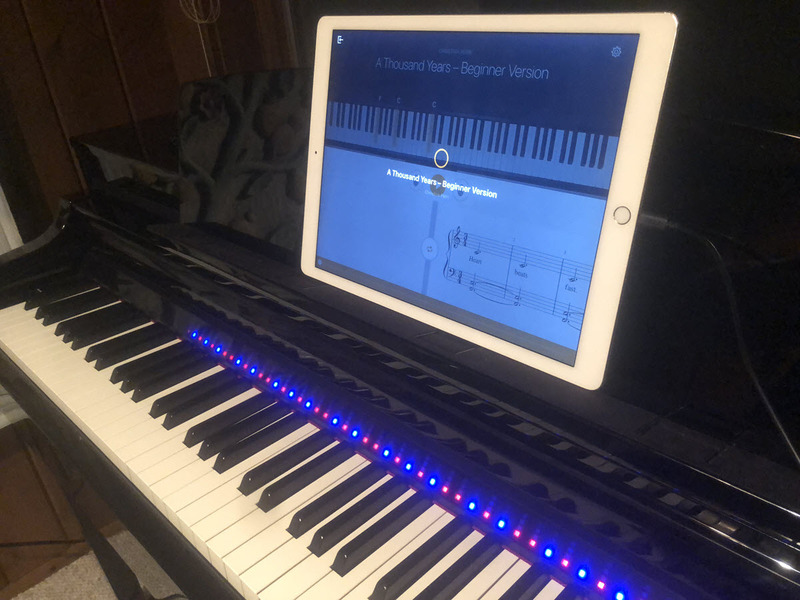 Versions are available for many platforms, including iOS and Android™, as well as Macintosh/Windows (running the Chrome browser), and the app works with any acoustic/digital piano or keyboard. What’s even more amazing is that this “wait” functionality is available using any keyboard or acoustic piano. 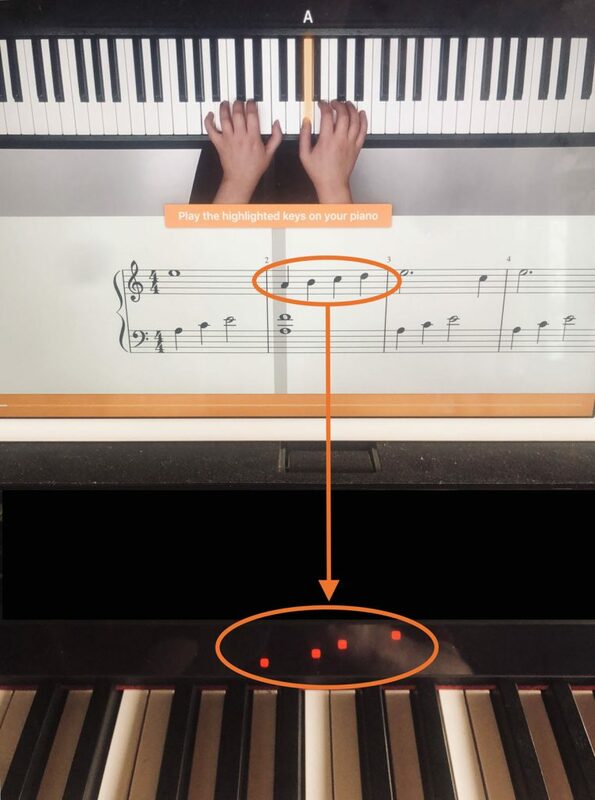 In its most simple form, the app uses the microphone built into the smart device or computer running flowkey and then figures out what notes you are playing by “listening” to the audio. (For the techies, this uses an “analog to digital converter” to convert audio sounds into MIDI notes.) Using a microphone is surprisingly accurate, although not perfect. For example, repeated notes sometimes get lost when you hold down notes and the music proceeds, even though you didn’t actually repeat the note. 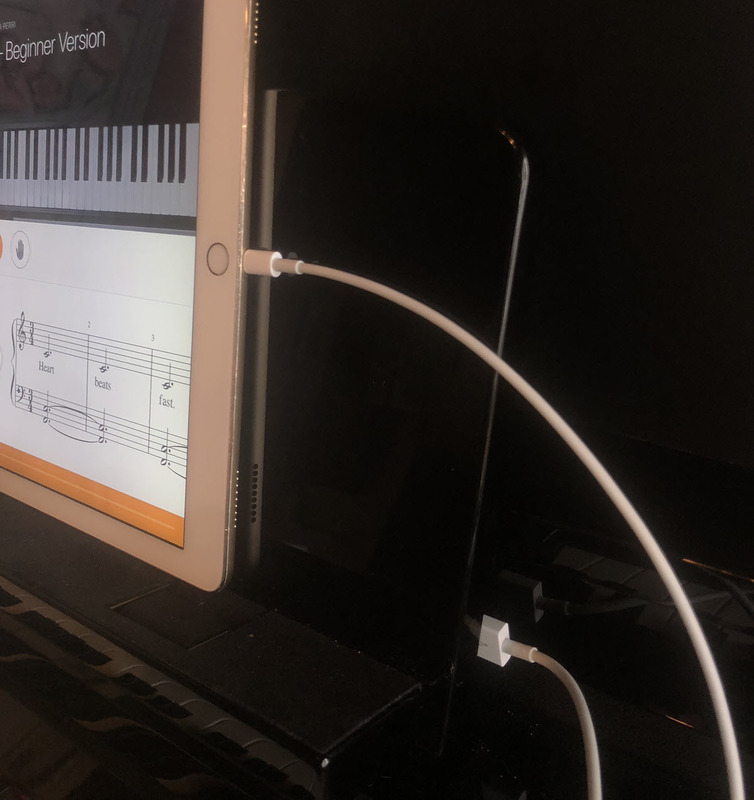 If you want to improve the accuracy to 100% and are using a digital instrument equipped with MIDI (most are), a better option is to use a Bluetooth® MIDI adapter or a cable to provide the MIDI data directly to flowkey — something I find to be much more satisfying than relying on the microphone. 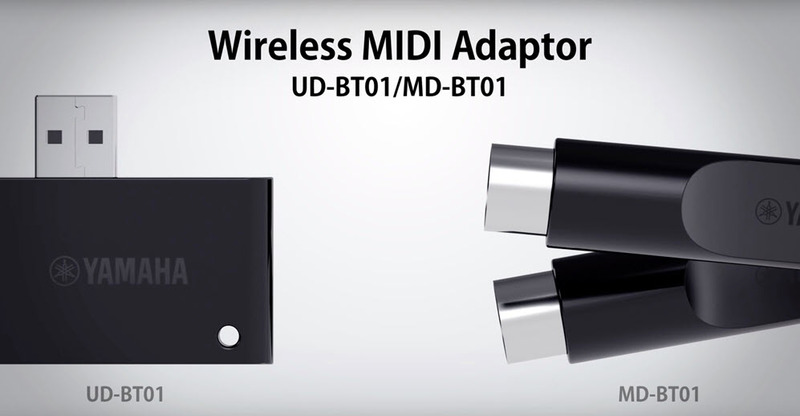 You can even do this wirelessly by using a device such as the Yamaha UD-BT01 (which uses a USB port) or the MD-BT01 (which uses MIDI ports). The ultimate setup is a combination of flowkey and a CSP Clavinova. Simply place an iPad® or iPhone® on the Clavinova’s music rack and you have the most sophisticated interactive learning system available today — much better, in my opinion, than any YouTube experience. 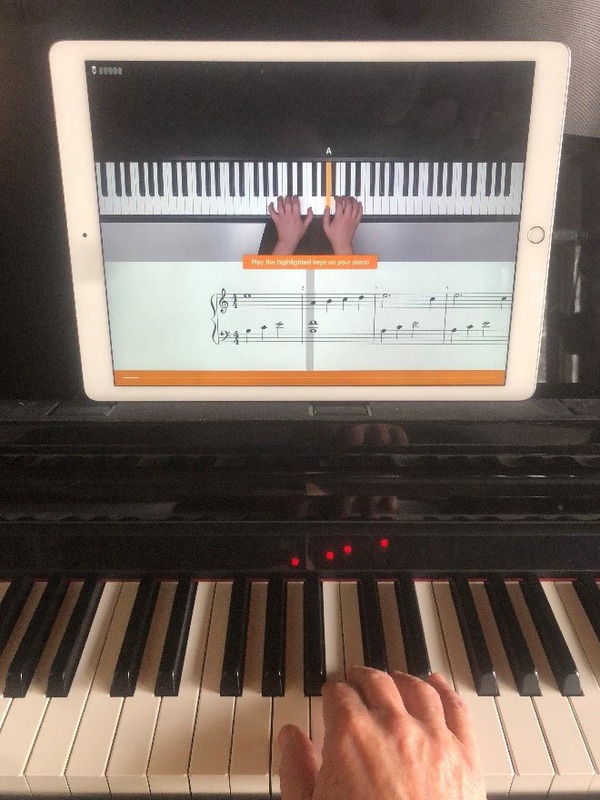 This exciting new collaboration between Yamaha and flowkey provides an extraordinary implementation of complementary technologies: the authentic piano touch, tone and pedals of the Clavinova with a state-of-the-art teaching app. The end result is that anyone can now learn notes, chords and songs interactively while receiving instant feedback from videos, digital highlighting, note names and streaming lights above the keys on the physical keyboard being played. In other words, the best of both worlds! 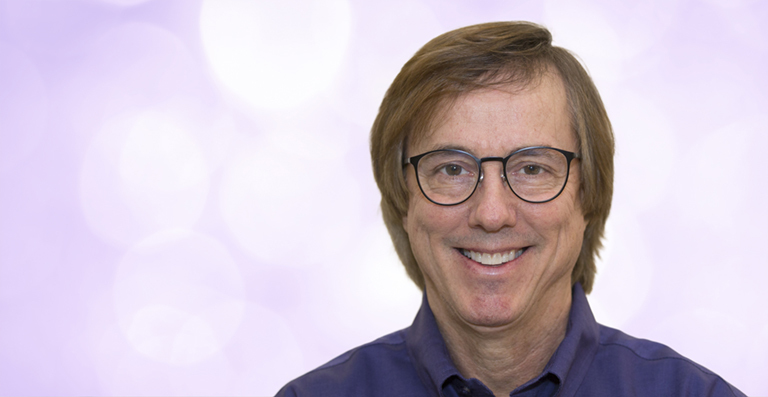 For a limited time, CSP Clavinova owners can get a 3-month subscription to flowkey Premium when they register their purchase here!